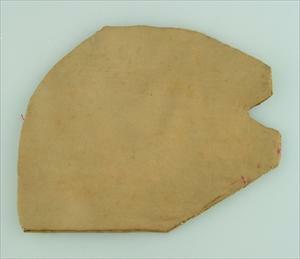 Hood made of paper with a silk outer. Unlike other hoods used around the world, it folds flat. This is a design formerly used in Japan, now obsolete. Traditional Japanese hood made of silk and paper.